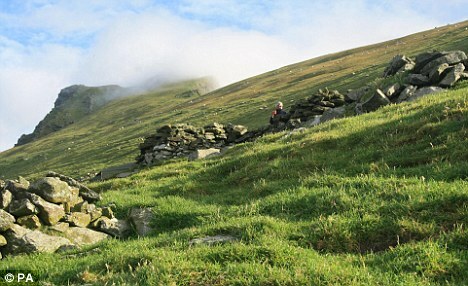 Archaeologists have discovered evidence of a settlement which could date back to the Iron Age on one of Europe’s most inhospitable islands.It had been thought that no people had ever lived on the St Kilda island of Boreray, 40 miles west of the Outer Hebrides in the Atlantic Ocean. 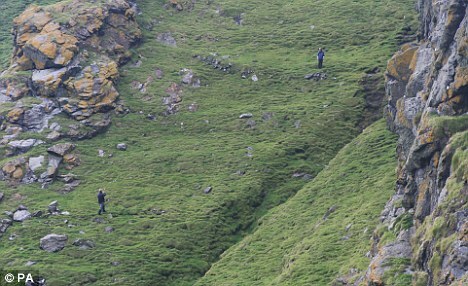 Inhabitants of nearby Hirta island used to visit Boreray only in the summer to hunt birds and gather wool, a practice which ended in the early 20th century. But the new discovery suggests that people may have lived on the steep slopes of the island as far back as prehistoric times. 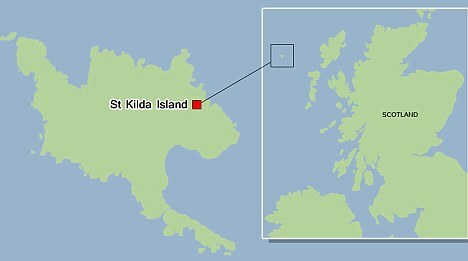 The remaining 36 inhabitants of the St Kilda archipelago were evacuated from the islands at their own request in 1930. Archaeologists from the Royal Commission on the Ancient and Historical Monuments (RCAHMS) of Scotland and the National Trust for Scotland made the new discovery on an eight-day research trip to Boreray. RCAHMS Surveyor Ian Parker said: ‘This is an incredibly significant find which could change our understanding of the history of St Kilda. 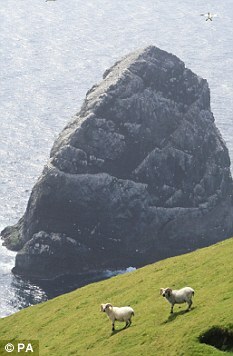 ‘Until now we thought Boreray was just visited for seasonal hunting and gathering by the people of Hirta. ‘But this new discovery shows that a farming community actually lived on the island, perhaps as long ago as the prehistoric period. ‘These agricultural remains and settlement mounds give us a tantalising glimpse into the lives of those who lived for a time on Boreray. ‘Farming what is probably one of the most remote and inhospitable islands in the North Atlantic would have been a hard and gruelling existence. The team found remnants of an agricultural field system and crop terraces. Three possible settlement mounds were also uncovered. One of these contained the intact remains of a stone building with a ‘corbelled’ roof, sealed by soil over the centuries. The archaeologists think some of the remains could date to the Iron Age. 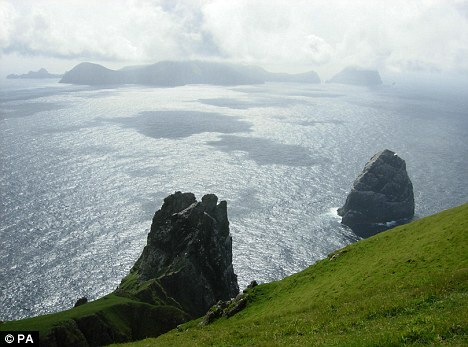 St Kilda is one of 27 locations in the world with dual World Heritage Status by Unesco in recognition of both its natural and cultural heritage. Cared for by the National Trust for Scotland, it is home to tens of thousands of seabirds, including 45,000 gannets, and a few hundred wild sheep. Hirta is the largest island in the archipelago. 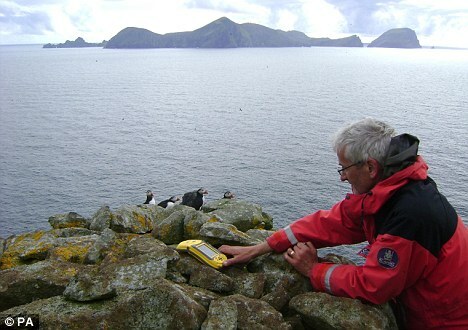 Jill Harden, who is under contract with the National Trust for Scotland, said: ‘New discoveries and interpretations are fundamental to people’s understanding of ways of life associated with all the islands and stacs that make up the St Kilda archipelago. The team were on the island last summer and have spent the past year analysing their findings. Posted on June 18, 2011, in research. Bookmark the permalink. Leave a comment.